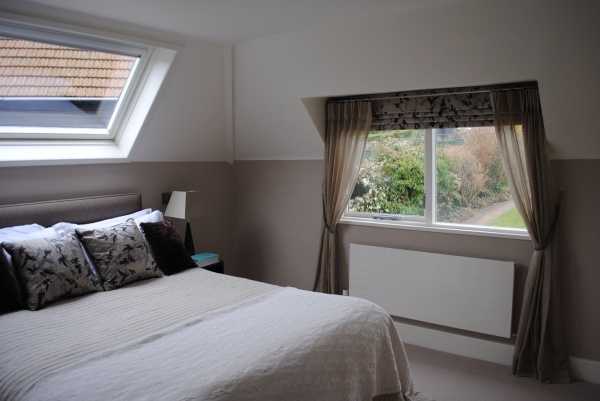 A calm and relaxing feel was created in this bedroom by mixing various textures, whilst keeping the colours neutral. The printed silk fabric used for the Roman blind and cushions is by Clarissa Hulse, who takes inspiration from nature to create beautiful and unusual fabric prints. Sheer curtains where then added to soften the window and beaded tiebacks from Wemyss Houles just finish off the look and add a little bit of luxury.